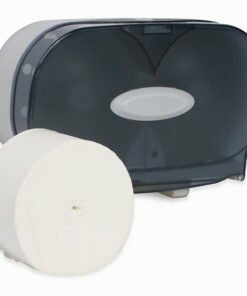 A selection of paper towel and toilet roll dispensers for the workplace and public toilets. 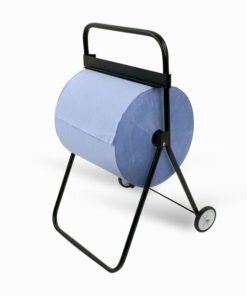 Part of our range of quality janitorial supplies. We have wall mounted and floor standing varieties to choose from. Various sizes are available. 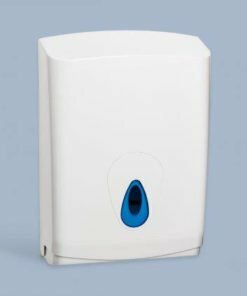 A wall mounted dispenser will keep paper towels and toilet roll clean and dry. It is a much more hygienic way to store them as helps to prevent the spreading of germs. They are also space saving and a great way to store your disposable bathroom paper. 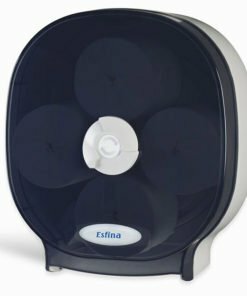 A toilet roll dispenser is also more economical. 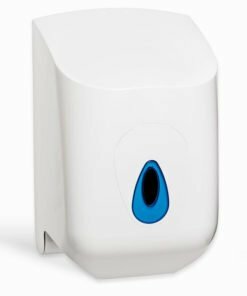 There is much less wastage with a dispenser at it will dispense just the right amount at each use. 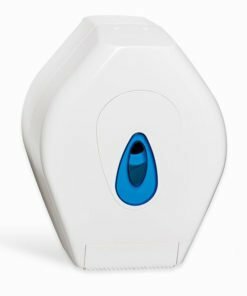 So you will save money by installing dispensers in the workplace or public toilets. Need any help with your online order? Then give us a call on 0330 0885 675 and we’ll be very happy to advise you.